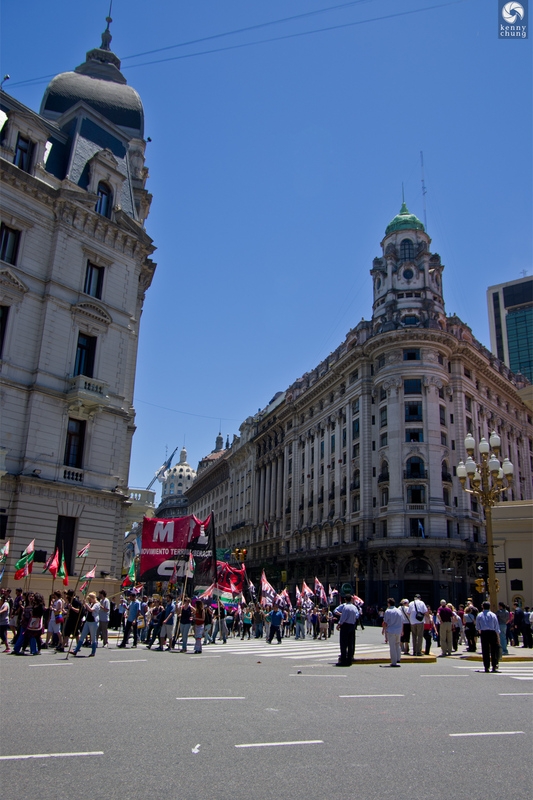 The first destination that we visited after getting into Buenos Aires was the government center. 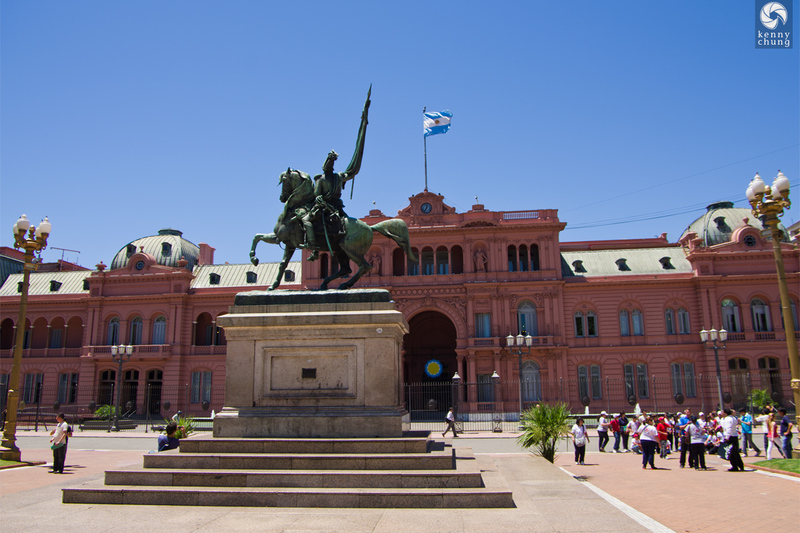 Known as the Plaza de Mayo (literally "May Plaza"), it commemorates significant dates in the battle for Argentinian independence, and is also home to "La Casa Rosada" (literally "The Pink House"), which is the official government building. 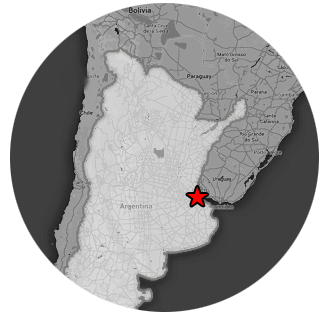 The area also commonly experiences protests, as there is much civil unrest in the country for both political and social reasons. 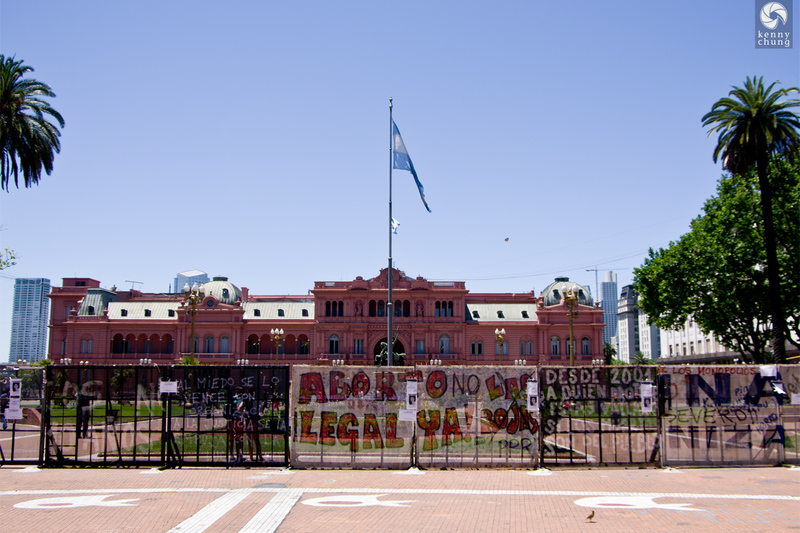 Signs on the fence outside La Casa Rosada. The middle one here is from Las Rojas, a women's liberation group that supports the legalization of abortion. Graffiti on the Pirade de Mayo statue, which commemorates the May Revolution. 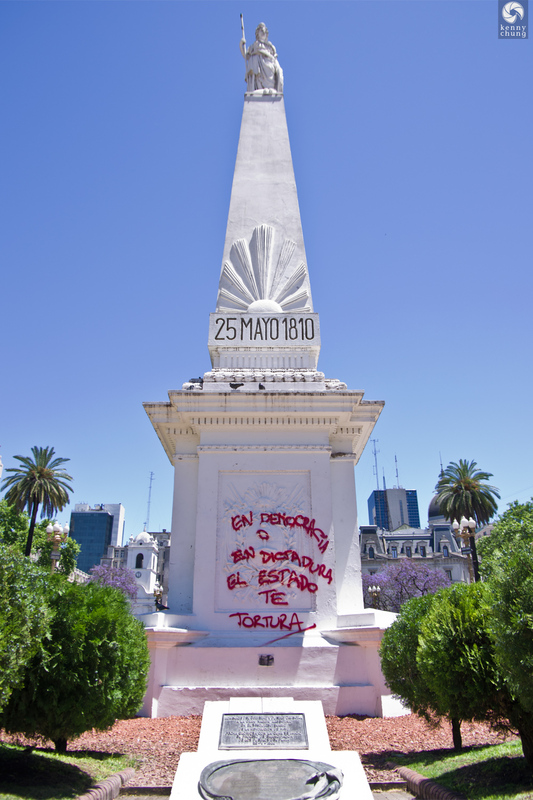 The words in red ("En democracia o en dictadura el estado te tortura") translates to "In a democracy or in a dictatorship, the government tortures you." 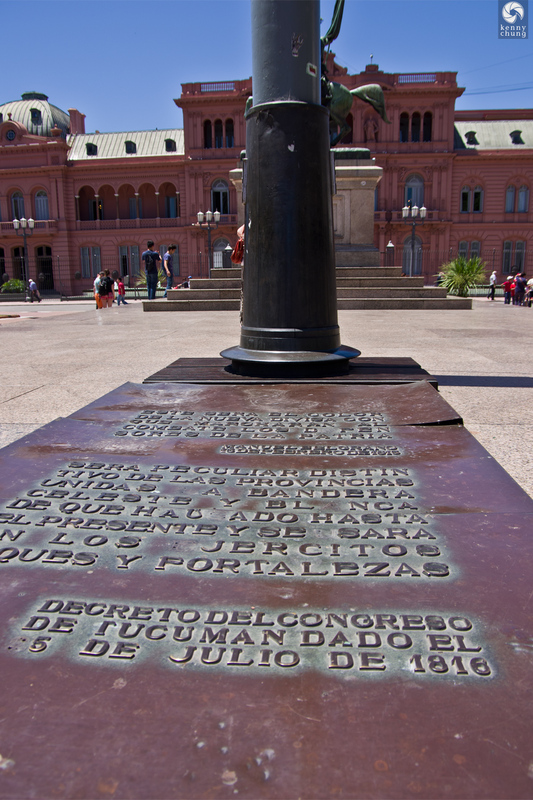 A bronze plaque located below the main flag pole in Plaza de Mayo. 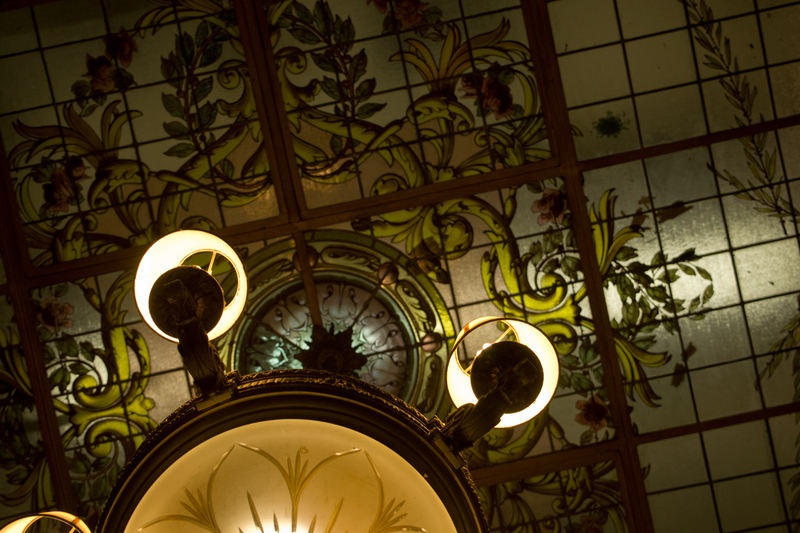 It explains that the color of the plaque (bronze) will be the color of the new currency in 1812 and notes the use of the country's blue and white flag since 1816. 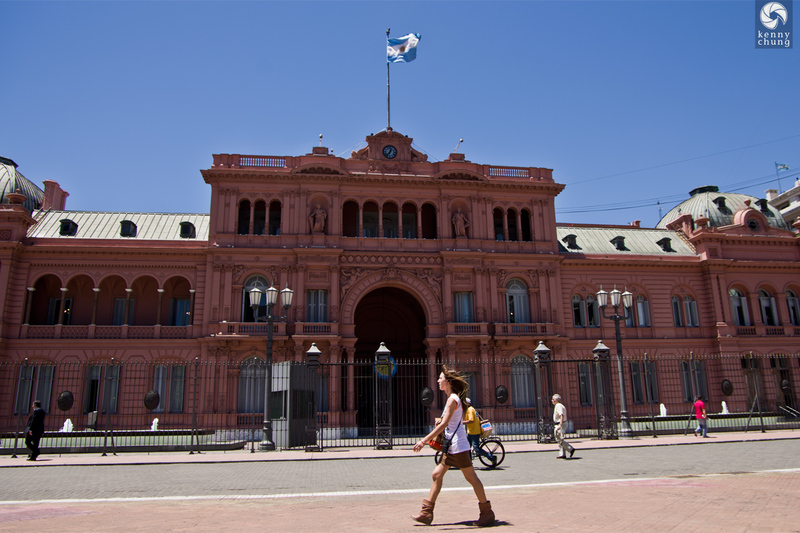 La Casa Rosada (literally "The Pink House"), which is the main government house, which includes the office of the Argentinian President. 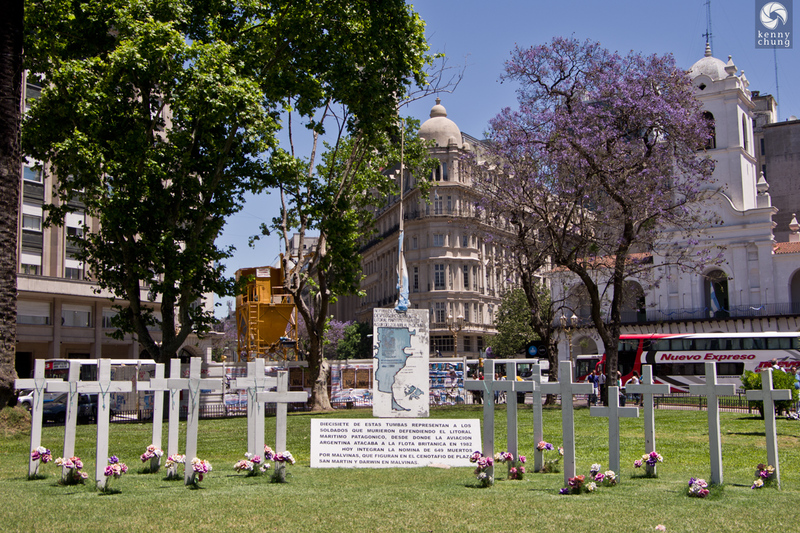 Crosses commemorate the deaths of soldiers who defended Argentina. 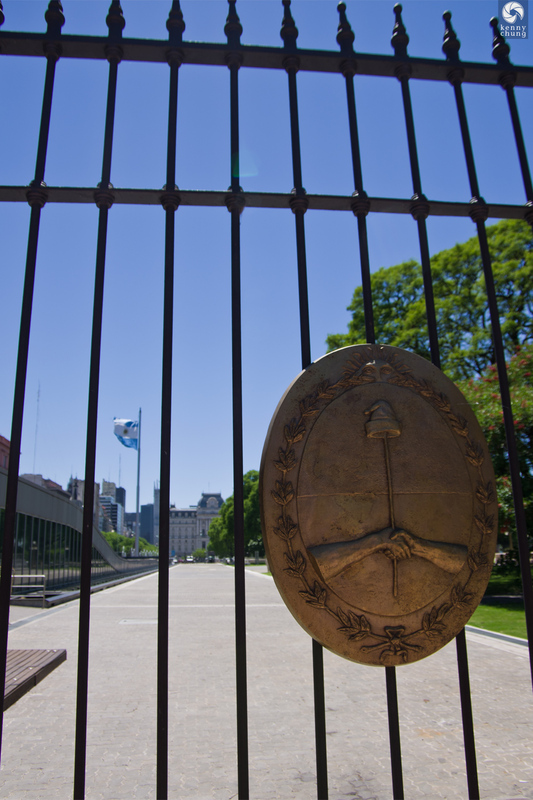 Another bronze plaque, this one featuring the Argentinian Coat of Arms, located on the gate outside La Casa Rosada. The seal depicts two hands shaking, while holding a pike with a Phrygian cap on top. Our timing allowed us to witness the passing of a lengthy protest. The first ones here are for the Junta Interna Bap-Ate group, a worker's rights group. 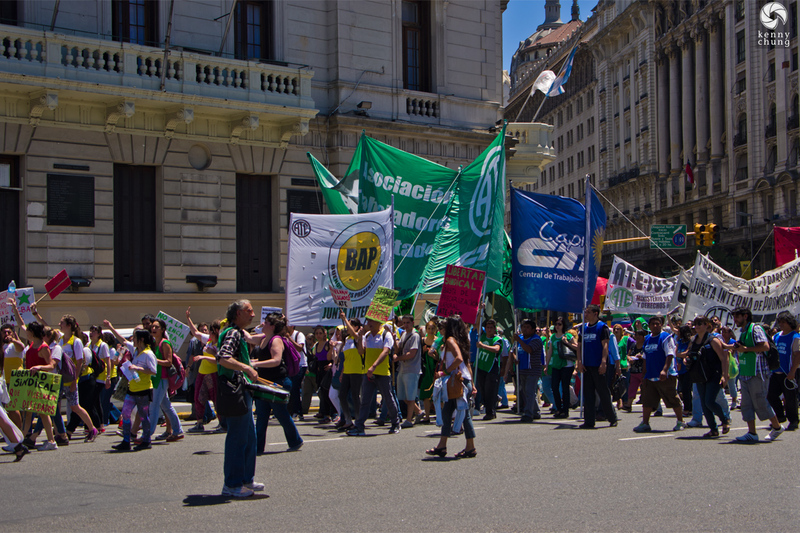 This group is the MTL, which stands for Movimiento Territorial de Liberaci�n, another worker's group. 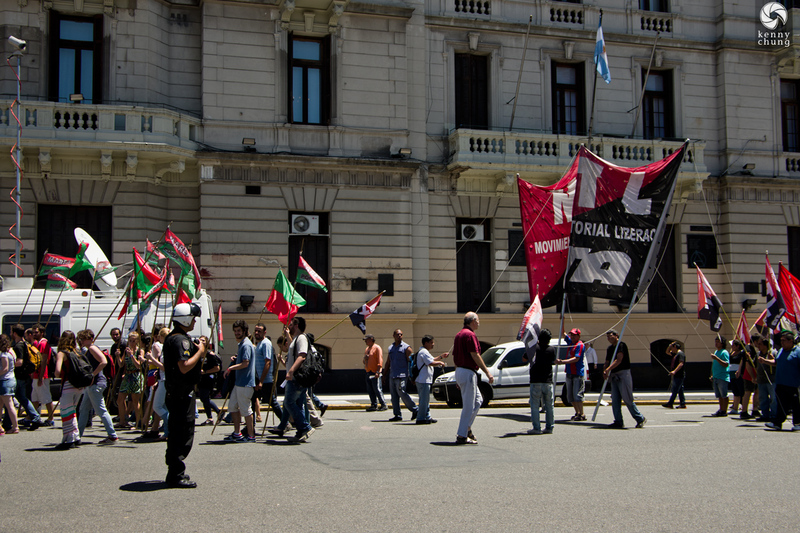 A police officer stands guard as the protest transitions from Avenida Roque S�enz Pe�a on the North side to Avenida Presidente Julio Argentino Roca to the South.